O ne person is dead and three others are recovering from injuries after a head-on collision in Charles City County this weekend. Authorities say the August 20th accident occurred around 4:45 in the afternoon near the Benjamin Harrison Bridge. The incident occurred when the driver of a 2001 Chrysler PT Cruiser, heading south on Roxbury Road, ran off road to the right. When they attempted to correct their vehicle, they overcorrected to the left, running into the northbound lanes. The PT Cruiser struck a 2015 Buick Enclave head on. A passenger in the PT Cruiser died at the scene of the accident, while the driver was airlifted to a local hospital with life-threatening injuries. Neither was wearing their seat belt at the time of the crash. The driver of the Buick and her passenger were also hospitalized with serious injuries. The couple is from the Newport News area. Authorities say the accident remains under investigation and that no charges have been filed at this time. We send our condolences to the family and loved ones of the person killed in this crash. The lives of passengers are really in the hands of the person driving, but we don’t give it much thought when accepting a ride from a friend. The reality is that even our most trusted friends can make mistakes behind the wheel. Passengers injured or killed in accidents like this one deserve justice. They are ultimately victims of the at fault driver’s mistakes. 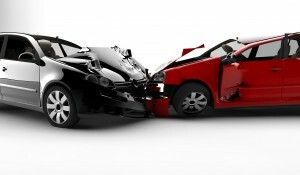 Without a Virginia car accident attorney, however, seeking justice for them can be an uphill battle.